The company wanted to simplify the process, so it began to look for new alternatives. Trenor turned to its existing supplier for a new solution to be integrated into its TOPSHOP and TOPMAN stores that would be faster, easier and more efficient. 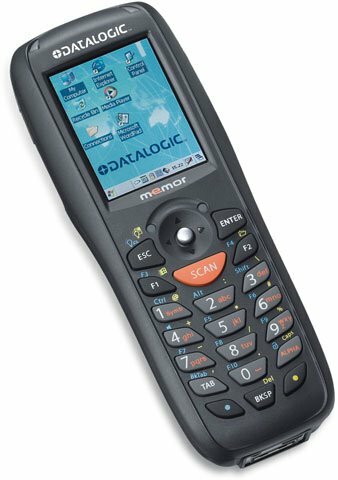 After carefully examining the situation with its hardware partner, they decided the best solution was to use a standard handheld computer solution using BDGRetail software and Datalogic’s Memor mobile computer. Trenor tried out this system and the solution proved to be exactly what the company was looking for. Each store is equipped with Memor mobile computers. The employees enter their store ID’s into the devices and dock them in order to receive the latest articles / EAN / inventory template automatically. After the information is downloaded, the employees start scanning items. When all the data is collected, the Memor mobile computers are placed in their docks to automatically transfer the data to the ERP system in the head office, completing the inventory procedure in a fraction of the time it took before this new system was implemented. The Memor mobile computer met and exceeded all the company’s requirements regarding time savings, secure flow of data between the device and LS Retail, and easy handling of registered products. Thanks to its network communication capability, the Memor mobile computer also eliminated the previous requirement of a special PC in every store. For more information on how you can use mobile computers to improve the efficiency of your business, contact us at BarcodesInc.